(author / musician / singer / songwriter; vocals / guitar / bodhrán / bones / Irish whistle) Through songs & stories, Peg transports you on a journey from Ireland to America, connecting you with your Irish roots and sharing with you the culture of the Emerald Isle. She has a soothing voice that hints of her Irish ancestry and writes clever and engaging songs in traditional Irish and American folk styles that tell stories of Irish history, emigration, musical craic (the Irish word for fun), love and parting. To learn more, click here. 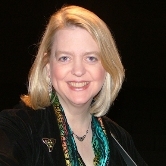 Click here to read about her awards and recognition, recordings and published works, cultural organizations and or to print her bio. 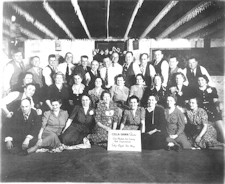 Peg’s website domain takes its name from her grandparents’ circle of friends who were known as the “Celladawn Club.” This circle of friends were all descendents of Irish nationals who had emigrated to America in the late 1800’s and settled in St. Louis, Mo. This family of friends and their own individual families would gather together once a month at someone’s house and party in the cellar until dawn singing all the old songs from Ireland and Irish-America. This strong song tradition was passed down from Peg’s grandparents to her own parents and then to Peg and her siblings. Above is a photo of the Celladawn Club including Peg’s grandparents, Michael Joseph O’Rourke (“Papa” sitting in the front row on the far left) and Mary Catherine Gertken O’Rourke (“Nana” in the middle of the front row holding the sign). 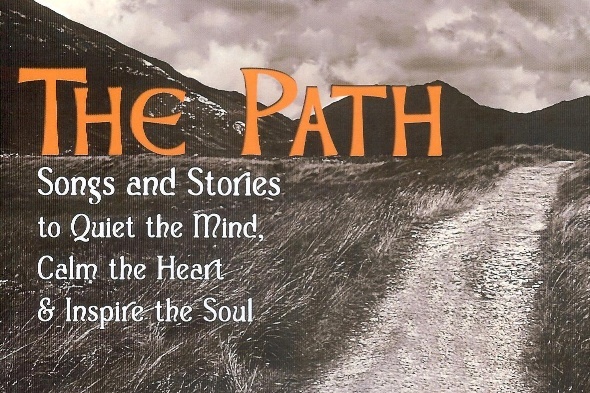 Peg’s latest project is her newly published book The Path – Songs and Stories to Quiet the Mind, Calm the Heart & Inspire the Soul. The book is the story of Peg’s personal journey of self-discovery, faith and healing and the songs she was inspired to write from her experience. The journey enabled her to rediscover her one true path; acknowledge her creative talents, skills and abilities; uncover the old emotions and beliefs that were holding her back; and gain the courage to take bold and decisive action forward on her life path. If you want to do something more with the rest of your life, if you crave to unleash your creative spirit, or if you wonder how to make the transition from one career to another, reading The Path, listening to the CD of songs and answering the reflective questions at the end of each chapter will inspire you to reconnect with your heart and soul, rediscover your own life path, and step forward with confidence and faith. Peg is pleased and excited to announce the start of Little Rock's First & Only Irish Song Session! Do you enjoy singing? Do you enjoy sharing songs and the stories behind them? Do you enjoy singing along with others in unison or harmony? Do you enjoy learning songs you may not have heard before? Do you enjoy sharing a song you know and love with others? Do you enjoy Irish songs or songs in the Irish/Celtic tradition? If YES, then please join us at the new Little Rock Irish Song Session hosted by Peg!